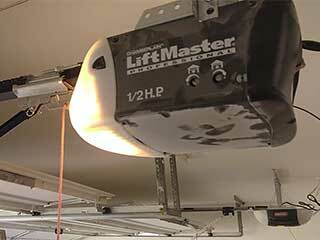 Any kind of garage door opener may run into an assortment of problems that range from the remote stopping to work to the pulley mechanism failing. No matter what kind of problem you have experienced with your garage opener, you can count on the experts at Garage Door Repair Woodinville to solve it for you. There are multiple reasons for a door to fail, ranging from simple ones such as an item that blocks the door to more complicated causes such as a remote-control malfunction or sensitivity that require adjustment. No matter what kind of problem you are experiencing with your opener, we can provide you with all the necessary expertise and supplies to solve it in no time. Whether you notice that your remote control doesn't work anymore or that the door reverses before hitting the floor, we can solve all problems when it comes to garage door opener repairs. Before completing any kind of repair, we do a thorough inspection to identify the exact problem and let you know the actual costs and products that are required. If you're looking for a knowledgeable team to install a new opener for you, you have come to the right place. With the ability to carry out new installations for all makes and models, our team has an excellent reputation for both efficiency and speed. Some of the door manufacturers that we provide new installations for include Allister, Genie, Sears, Liftmaster and more. If you require any information or advice on a particular type of opener, we are happy to help. Schedule your appointment today by calling us and we'll make sure your garage door opener gets the attention it deserves.